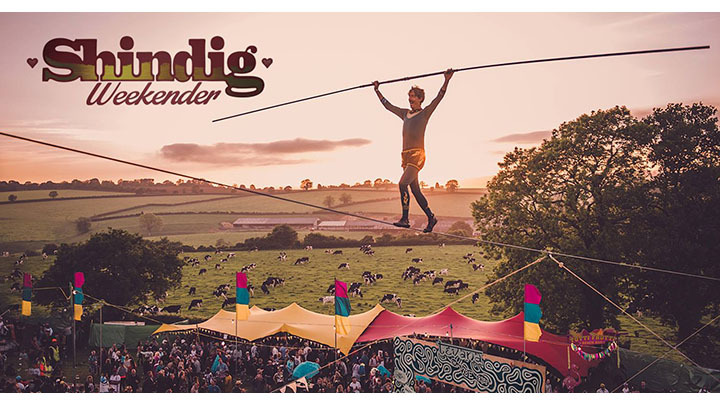 Now in its 4th year, Shindig Weekender, run by Ghetto Funk, a gathering of family and friends, and friends of friends, is a music and dance festival set in beautiful countryside near Bath over the 3 days of the May Bank Holiday weekend. Enjoy performances all day and live music at night in the ‘Moonshine Circus & Cabaret’ tent, hang out in the ‘Tutti Frutti’ Cocktail Beach Bar or visit ‘The Dig Inn’ for drinks and music till late. Party till dawn at ‘The Ghetto Funk’ Nightclub. Family fun includes ‘Kids Kingdom’, a fortress of fun devoted to the younger folk with workshops, climbing nets, storytelling, singing, dancing plus an indoor cinema and an amazing Circus to end the day. You won’t find a VIP section here as everyone is VIP! IDEAL FOR: Good family fun at a very reasonable price!